There has been a new wave of lip product hitting the market. I've seen LipSense all over social media and even some of my friends are selling it. I was curious to give it a try. My first thought was that it was like a long wearing liquid lipstick but boy was I wrong. Check out my full review! One of my long time readers Jennie Zamora from Kiss & Makeup offered to send me a lip kit for an unbiased review. In my kit I received a tube of glossy gloss, a lip color in fly girl and a remover for a retail price of $55 plus $4 S&H. The brand is known for its staying capability...it's not supposed to budge, smudge or rub off and it's waterproof with a 100% money back guarantee. 1) Start with clean, dry lips. 2) Shake the lip color in order to disburse the colorant through the alcohol for even application. 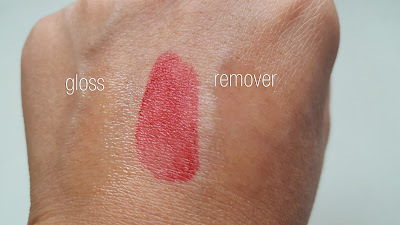 3) Apply a thin layer of product to your lips in one direction do you not swipe back-and-forth. Also do not rub your lips together the color is very tacky at this point and will cause your lips to stick together. Let the first layer dry approximately 5 to 10 seconds then apply a second layer of color let it dry and follow with a third layer of color. 4) After the third layer has dried apply the glossy gloss. The glossy gloss will cause the color to molecularly bond to your lips. At this point you could actually wipe your finger over your lips and you will notice that the color does not rub off or transfer. Throughout the day if your lips feel dry just reapply more glossy gloss. The gloss has Shea butter and vitamin E in it and can actually absorb into your lips through the color to condition them. 5) When you are ready to remove the product apply a layer of remover and let sit for 3 to 4 minutes before wiping off with a warm washcloth. Fly Girl is a classic warm red shade. 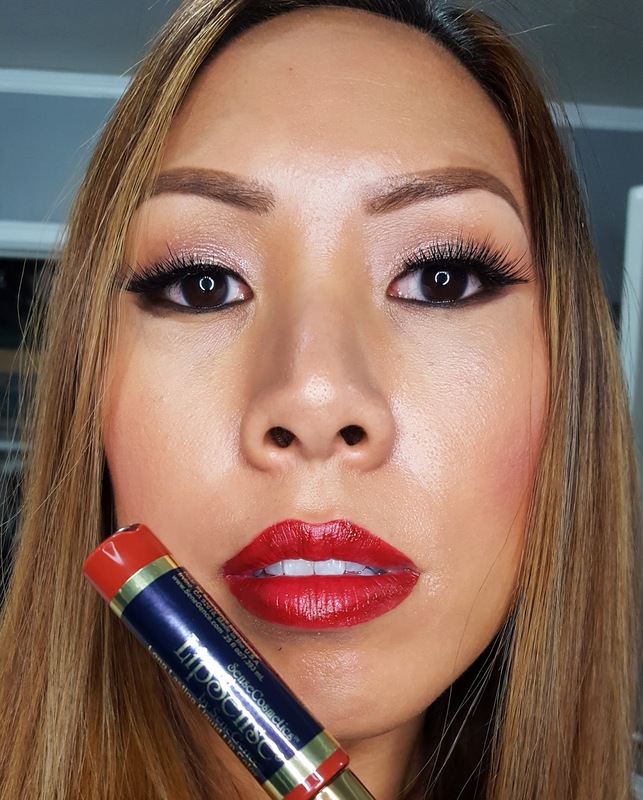 When I applied the first layer of lipsense I did notice it stinged a bit. It does contain alcohol and I have very sensitive lips. But that sensation went away after a few seconds. I apply about 3 coats of the product to get the coverage I like. The consistency is like a very thin layer of water color...not like a liquid lipstick. You also have the option of putting the gloss on top...it's not slick, it binds to the lip product and is just a little bit sticky. I found it a little tricky to apply this to get a super precise lip line. I'd recommend wearing it with a lip pencil for easier application. They also sell a lip liner which is pretty cool in that it looks like a liquid liner. I wore this lip product a few times and it did last several hours even through eating. When it does wear away, it's mostly in the center in more of a cracking off effect vs being rubbed off or dissolved. 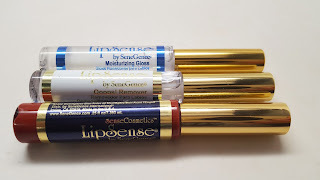 I think this is a great option for those who are looking for a long lasting lip product. Lipsense also offers color matching so if you have a favorite lip color that you already own, simply swatch it, send a photo and they will match it with the equivalent lip sense color. Also lipsense colors can be layered- so once you own three lipsense colors that gives you 27 color options depending on how you layer them. If you want to order this product, hit up my girl Jennie on her Facebook group or email her jenniebug80z@gmail.com She's also offering my readers a special discount! Use coupon code REN15 for 15% off your total order.